I spotted an impressive evening sky from my west London window, with clouds catching the sun’s rays just before it began to slip away. 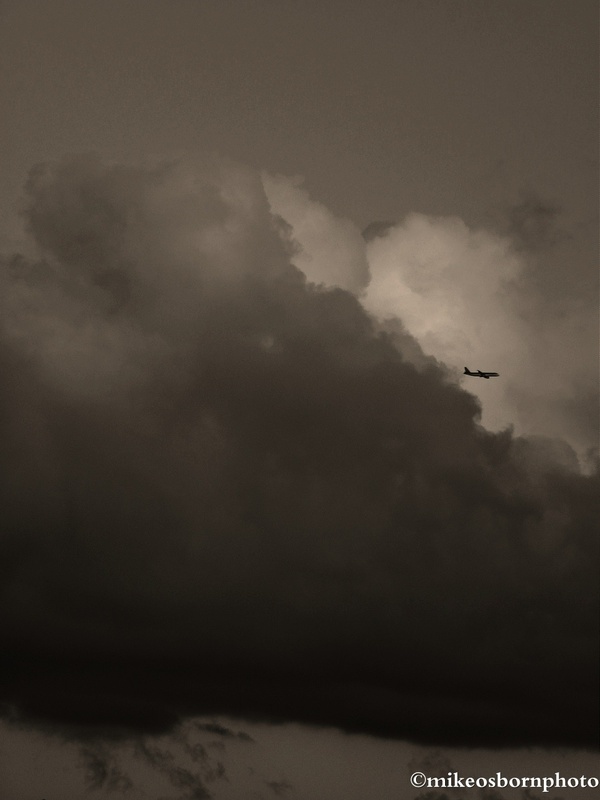 The bonus was an aircraft crossing the frame on its way to Heathrow Airport. 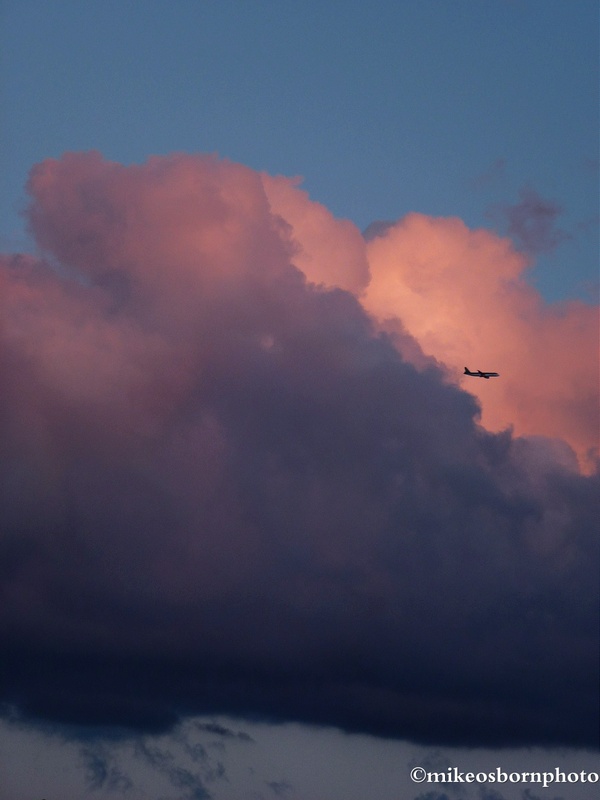 The cloud has a delightful pink tinge and the sky above is bright and pure cyan. The bottom of the cloud looks moody, but a simple switch to monochrome alters the story dramatically. The plane suddenly looks like it is escaping from peril. Nice! The jet really makes the shot. Good capture.